Since the early 1950s we have seen obesity rise at an alarming rate. In its earliest stages, people suggested that an increase in the consumption of saturated fat was to blame, as its high energy content was likely to make it easier to overeat (and subsequently, easier to gain weight). Interestingly, this stance has shifted significantly over the last decade, as obesity has continued to rise even despite people choosing to eat less dietary fat on a daily basis. This shift has come with the realisation that the increased consumption of processed carbohydrates may be one of the key contributors to not only societal weight gain, but also the huge declines in health we are seeing across the nation. The health industry largely supporting the elimination of processed carbohydrates from the diet, with the obvious inclusion of exercise as a means to enhance weight loss and improve health. But unfortunately, while this advice does indeed make sense, it is also a whole lot easier said than done. Which is why a whole arm of the supplement industry is dedicated to making this process easier and more efficient – and one such supplement that has been designed solely for this purpose is carb blockers. Many of the complex carbohydrates we eat on a daily basis cannot actually be absorbed by the body until they have been broken down into smaller molecules within the digestive system. This breakdown of carbohydrates is caused by a key digestive enzyme known as amylase. Amylase is a member of a class of enzymes that catalyze the hydrolysis (splitting of a compound by addition of a water molecule) of starch into smaller carbohydrate molecules such as maltose (a molecule composed of two glucose molecules). In the digestive systems of humans and many other mammals, an alpha-amylase called ptyalin is produced by the salivary glands. Under optimal conditions as much as 30 to 40 percent of ingested starches can be broken down to maltose by ptyalin during digestion in the stomach. And in essence, carb blockers are ultimately amylase inhibitors. You see, derived from white beans, this unique group of supplements actually block this enzyme so that it can no longer attach to the carbohydrates you consume. In short, they stop you from being able to break them down into small and easy to digest molecules. As a result, you essentially absorb less of the carbohydrates that you eat, with the much more being excreted as waste. This is suggested to help enhance weight loss by reducing your caloric intake on a daily basis, while also impacting metabolic health in a positive manner (by assisting lower blood sugar levels). What are the Benefits of Carb Blockers? Carb blockers have seen a rapid rise in popularity within the health industry of late, ultimately due to the positive effects that they are said to have on body composition and health. With this in mind, we wanted to take an objective look at the research to determine where their use is most effective, and where it isn’t. Do Carb Blockers Help with Weight Loss? Arguably the biggest health claim surrounding the use of carb blockers is their supposed ability to promote weight loss – and given their mechanism of action, it makes sense that they would have the capacity to enhance weight loss over time (by reducing your daily energy intake). Positively, there is an abundance of research to support this claim, many of which demonstrates that supplementing with a carb blocker every day for as little as 8-12 weeks can lead to significant weight loss within that time period . Do Carb Blockers Decrease Appetite? Interestingly, combined with their apparent effects on weight loss, carb blockers have also been shown to have an impact on appetite. You see, many carb blockers contain a specific compound known as phytohaemagglutinin. The consumption of this compound has been shown to increase the secretion of specific hormones that make you feel fuller after eating . As an added bonus, this is very likely to have additional positive implications for weight loss over time. Do Carb Blockers Help Lower Blood Sugar? One of the largest positives when it comes to carb blockers may actually be in regard to their impact on metabolic health, rather than weight loss. You see, by significantly reducing the absorption of carbs into the body after eating, they cause a smaller rise in blood sugar. Interestingly, they have also been shown to increase the rate that blood sugar levels return to normal after eating . As the inability to control blood sugar is a key risk factor for metabolic diseases such as diabetes, carb blockers actually have the capacity to increase metabolic health in a very big way. Do Carb Blockers Improve Gut Health? And finally, carb blockers have also been shown to have an impact on digestive health. By increasing the amount of complex carbohydrates that stay with the gut, more starch and fibre actually reaches the gut bacteria throughout the intestine. The good bacteria found within the gut ferment these carbohydrates for energy, increasing their health and numbers significantly . This is likely to improve your ability to absorb nutrients from the food you eat, while also increasing their ability to protect your body from any harmful organisms that happen to be in the food you eat. 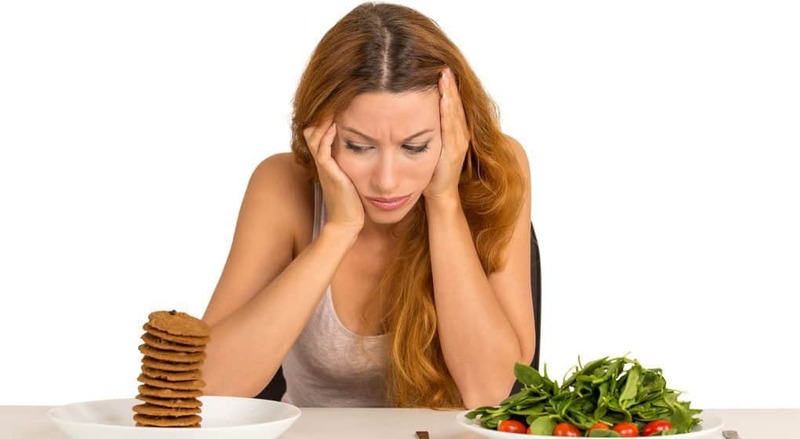 Considering that carb blockers have some huge positives associated with their use, we wanted to give you some great options that you can begin to implement into your regime immediately and effectively. 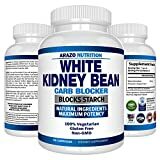 This potent carb blocker by Arazo Nutrition is hands down the most popular on the market at the moment. 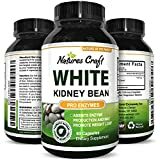 Produced using high quality white kidney bean extract, this great option provides a scientifically supported dose of 600mg per serve, ensuring its effectiveness. Bioganix have been producing great quality natural products for a very long time, and with this in mind, their carb blocker is a perfect example. 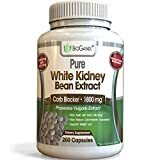 Providing a whopping dose of 1800mg pure white kidney bean extract per serve, this is one of the most potent on the market. You really can’t go wrong here. Orginatural have built an excellent reputation for producing high quality organic products that work effectively – and fortunately for us, their carb blocker is no different. 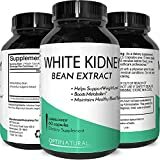 Providing a potent dosage of 1200mg pure organic white kidney bean extract per serving, this is an excellent option. 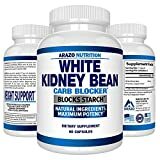 Derived from white kidney bean extract, carb blockers appear to be on the most effective organic supplements for metabolic health and weight loss on the planet. Due to their impact on carbohydrate absorption, appetite, blood sugar control, and gut health, they have the capacity to enhance health and promote fat loss through a number of different mechanisms. The three options listed in this article are what we believe to be the best carb blockers on the market at the moment, each offering us with an excellent option in their own right. And as always, if you have had any experience using carb blockers we would love to hear about it, so drop us a comment and we will get back to you ASAP.